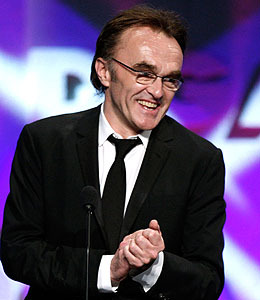 "Slumdog Millionaire" is one of Hollywood's biggest rags-to-riches story -- the flick swept the Golden Globe and SAG Awards, and now the film's director Danny Boyle was recognized by the DGA for his work on the Mumbai-based film. 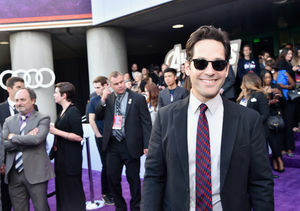 Boyle took home the evening's top honor, for feature-film directing. "Millionaire" beat out tough contenders for the directing award, including fellow Oscar contenders David Fincher for "The Curious Case of Benjamin Button," Ron Howard for "Frost/Nixon," and Gus Van Sant for "Milk." The only director up for the award without an Oscar nod was Christopher Nolan for "The Dark Knight." Paul Feig nabbed the top television honors for an episode of "The Office," which beat out two episodes of the hugely popular and critically acclaimed "30 Rock" for the directorial honor. "We're in a real golden age of TV comedy, and I'm just happy to be part of it," Feig told AP. 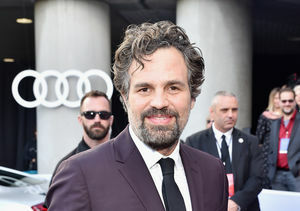 Many actors and actresses up for Academy Awards were presenters at the Director's Guild Awards, including Sean Penn, Marisa Tomei, Melissa Leo, Amy Adams, Frank Langella, Viola Davis, Josh Brolin, Richard Jenkins and Michael Shannon.